The Middle Belt region in Nigeria is believed to have the largest number of ethnic groups in the country and Professor Jerry Gana, a former Minister of Information and current National President of the Middle Belt Forum has warned northerners preaching division that if Nigeria breaks, the Middle Belt will not follow them. 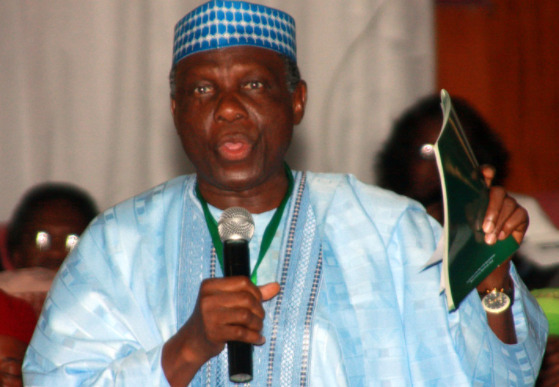 Jerry Gana made the declaration on Sunday as he delivered a sermon at the St. Matthew’s Church, Maitama, Diocese of Abuja. 'we love Nigeria and it was changed to a federal system because of the minorities so that we can have a place. So, we love Nigeria but in the unlikely event that people want to go their way, the Arewa in the Sahel will go. But we will remain here in the Federal Republic of Nigeria'.